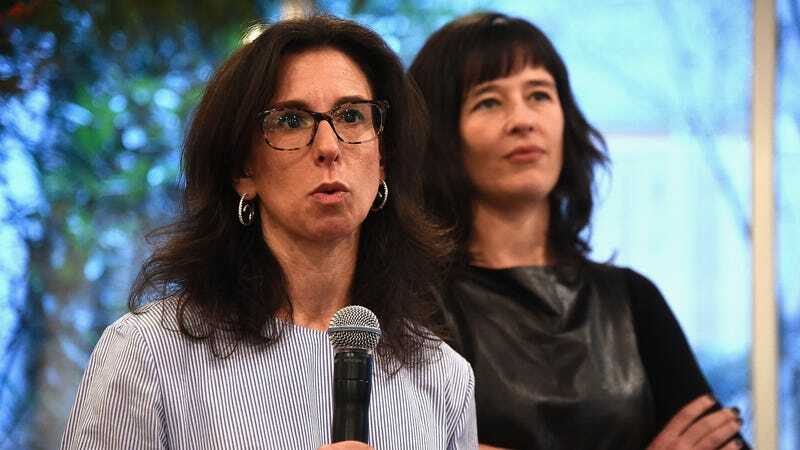 The New York Times reporters who broke the Harvey Weinstein story—Jodi Kantor and Megan Twohey—will be the focus of a movie about how they uncovered the allegations. The thrust of the film isn’t Weinstein or his scandal. This is about an all-women team of journalists who persevered through threats of litigation and intimidation, to break a game-changing story, told in a procedural manner like Spotlight and All the President’s Men. Kantor and Twohey just shared the Pulitzer Prize for their explosive reporting alongside Ronan Farrow, whose equally superb dispatches in The New Yorker began dropping days after that first NYT scoop. It was the most seismic journalism-driven Hollywood scandal since the days of David Begelman, and much of the intrigue involved the ways that Weinstein tried unsuccessfully to keep the stories from being published.